Over the years The Vow Exchange has been noticed and looked to as a trend setting business transforming the wedding industry and couple's experiences in celebrating their wedding day. 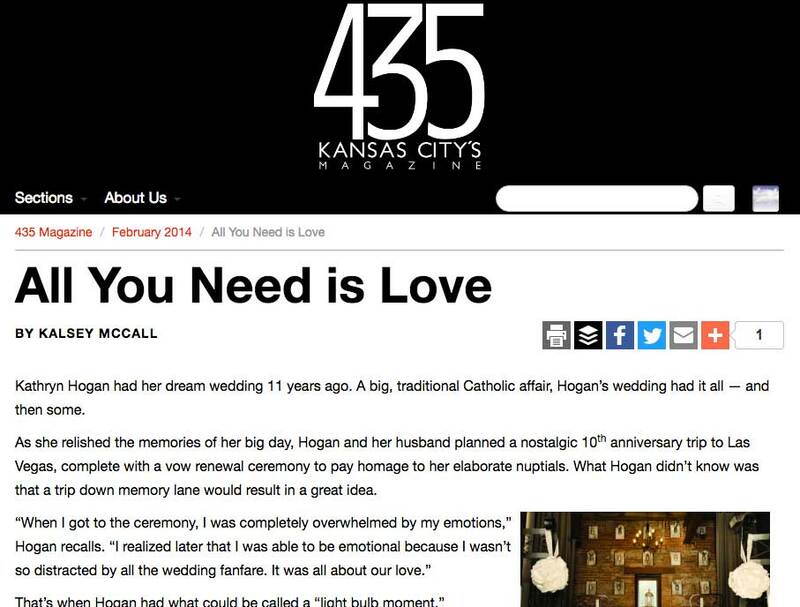 Browse through the various stories highlighting The Vow Exchange and Kansas City's excitement for this new way to wed! 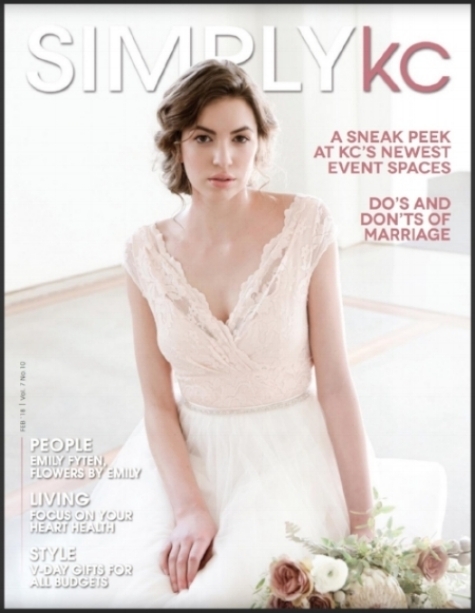 THE FEBRUARY ISSUE OF SIMPLY KC FEATURED THE VOW EXCHANGE CHAPEL AND THE UPCOMING CHAPEL AT HERITAGE HALL IN LIBERTY! Click to read the full "Sneak Peek at KC's New Event Spaces" article on pages 34 & 35. KC WEDDINGS COVERED THE VOW EXCHANGE BOTH IN FALL/WINTER & SPRING/SUMMER 2014. A LOT HAS CHANGED SINCE 435 COVERED THE VOW EXCHANGE IN EARLY 2014. READ THE WHOLE ARTICLE HERE. 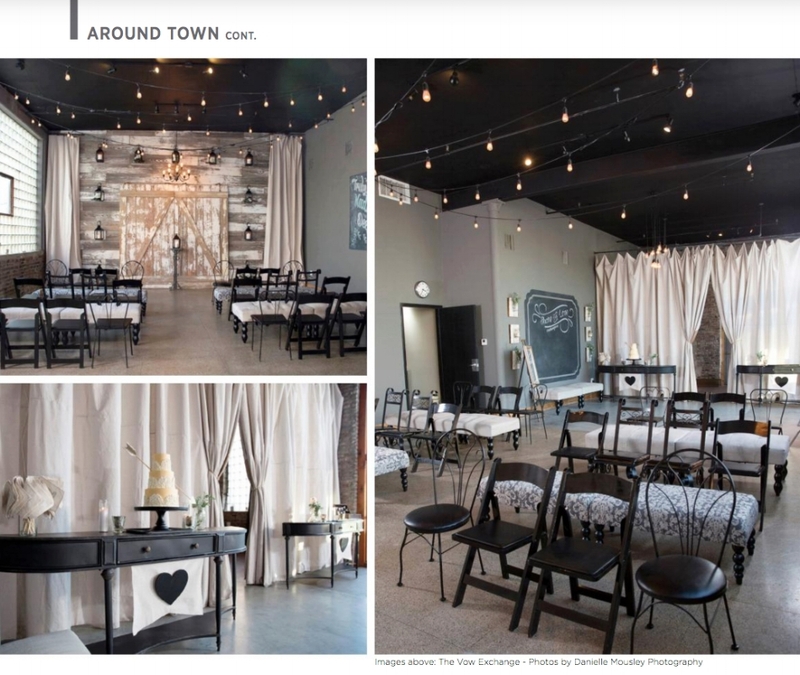 "Quirky Crossroads shops are right up KC’s alley"
WHO WANTS TO THEIR WEDDING TO OPEN UP TO A BUSY CITY STREET? AT THE VOW EXCHANGE, OUR COUPLES AND THEIR GUESTS CELEBRATE THEIR PRIVATE EVENT TUCKED AWAY IN "STAR ALLEY". THE KANSAS CITY STAR COVERS A GROWING TREND IN KANSAS CITY WHERE THERE ARE HIDDEN TREASURES IN KC'S ALLEY WAYS! READ ABOUT IT HERE! LIKE BUZZFEED FOR TV, THE LIST ON CHANNEL 41 COVERED THE VOW EXCHANGE IN WINTER OF 2014. WATCH THE CLIP HERE! ANDREA AND MICHAEL TIE THE KNOT WHILE KANSAS CITY WATCHED AS KCTV 5 COVERED THE VOW EXCHANGE "...a first-of-its-kind venue in Kansas City that does it all for you at a fraction of the price." READ ABOUT IT HERE! WE SPOKE WITH REPORTER CODY NEWILL IN THE SUMMER OF 2016 AS HE DUG INTO HOW MARRIAGE HAS CHANGED IN THE PAST 30 YEARS HERE IN KC. THE VOW EXCHANGE IS ON THE LEADING EDGE OF WHAT COUPLES ARE LOOKING FOR WHEN CELEBRATING THEIR WEDDING TODAY. LISTEN IN HERE. IN THE SUMMER OF 2016 PRODUCER MATTHEW LONG-MIDDLETON OF KCUR CENTRAL STANDARD INVITED THE VOW EXCHANGE OWNER KATHRYN HOGAN TO JOIN HIS SHOW AND SHARE HER EXPERIENCES WITH MODERN DAY COUPLES CELEBRATING THEIR WEDDINGS. LISTEN TO THE PODCAST HERE.